Head of Entertainment (she does lots of tricks). Plus being in charge of emptying bins and rounding up the engineers. A&D are one of a growing number of companies in the UK who see the benefits of bringing a dog to work and the positive effects they can have on the workforce. Research has shown that having a dog in the office can have a beneficial effect on well being, happiness and improve job satisfaction. We can vouch for this, especially during stressful periods. For 25 years A&D’s ethos has been to provide exceptional customer service and we will never compromise on this. Inevitably sometimes the atmosphere can get a little stressful. Especially when we put pressure on ourselves to fulfil our commitments. Regardless of what’s going on Skye can really lift the mood just when we need it, she’s always cheerful and non judgemental. She’s a true friend to everyone, customers and staff alike. 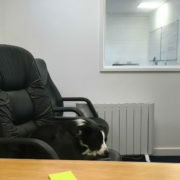 How does Skye benefit from being in the office? Known for their intelligence, Border Collies like Skye require both physical and mental stimulation. Dogs are also highly sociable animals and love to be included in daily activities. 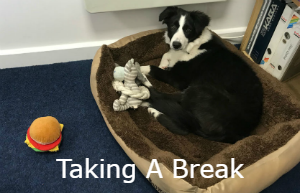 Through being in a busy office, plus socialising with staff and customers, Skye gets ample opportunity to have physical and mental stimulation. The team are also encouraged to take her for a walk which benefits both human and dog! Plus she gets lots of love and attention too. Let’s not forget the added benefit of the generous income she receives – loads of dog treats and biscuits! As providers of emergency door and shutter repairs we sometimes come across damage caused by burglaries. A burglary of any premises, whether it is a home or a commercial property is something none of us want to experience. Unfortunately it happens all too often! UK Crime Statistics logged 34,000 break-ins between July 2017 – August 2018. A commercial and industrial premises is particularly vulnerable after a break in, especially if it happens in the middle of the night. 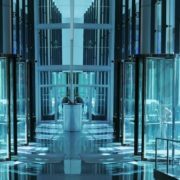 Our primary concern at A&D Door Systems is to secure the building as quickly as possible, this provides security and limits damage to trade and further pillaging. 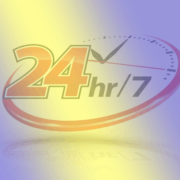 With our 24/7, 365 days a year emergency repair service, customers never have to wait long for vital repairs. And we certainly don’t want to let our customers down, at a time when they really need help. 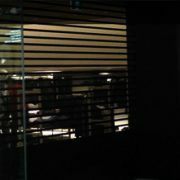 Much thought has been put into providing strategies that use our knowledge and the latest technology, to ensure that every emergency situation can be dealt with effectively, and efficiently, whether it be day or night. With over 20 years experience in the industry, we have built good relationships with suppliers and manufacturers. This enables us to get the correct equipment supplied and fitted quickly. Having well thought out plans doesn’t mean a lack of versatility. A situation can sometimes require a new course of action. A great example was when we got a call at 4am from a worried customer. 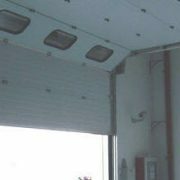 A ram raid had caused considerable damage to a sectional door, leaving the building in a vulnerable position. An A&D engineer immediately went to the site, in South Manchester. It took just 2 hours to initially make it secure. The customer however wanted to replace the sectional door with a roller shutter and with the added benefit of anti-ram raid protection, so we advised fitting some heavy duty steel ram raid bars across all entrances. Getting the parts in good time could have been a problem. However because of our connections in the business, we were able to get all the parts required. Guaranteed, insured work at a reasonable price. Are you looking for an amazing shop front? We supply and install high quality aluminium shop fronts. Combine amazing good looks, to attract customers into your shop, with solid security features and practical functionality. Contact us today for more details about this exciting and innovative product. https://www.addoorsystems.co.uk/wp-content/uploads/2017/12/shop.jpg 218 538 A & D https://www.addoorsystems.co.uk/wp-content/uploads/2017/12/ADTransparent-black.png A & D2017-12-15 10:18:382018-10-10 13:50:20Are you looking for an amazing shop front? 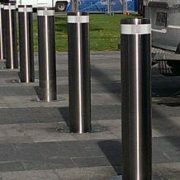 There are many Retractable Bollards installers in the market. But not all are equal. Retractable Bollards can be a substantial investment to make for your property, so make sure you do your due diligence before choosing which company to employ. Do they have extensive experience in fitting lots of different types of security systems? Can they show you plenty of examples of their work? Can they provide references if asked? Do they have independent reviews you can view? A&D Door Systems Ltd can give you a resounding YES to all these questions. Be sure to get the same assurances before you make your decision. Why not ask us for a no obligation free site survey and measure up?